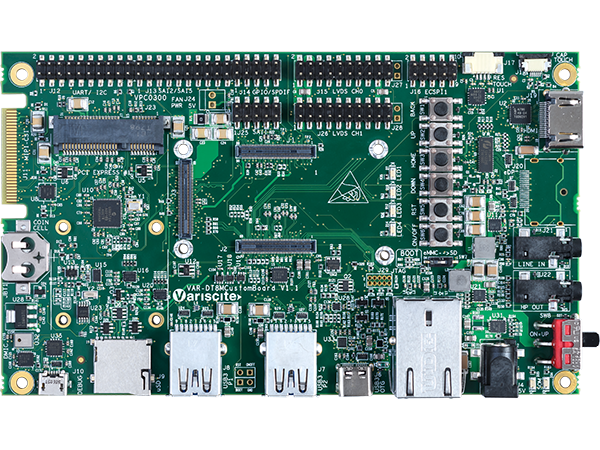 The VAR-DT8MCustomBoard Single Board Computer (SBC) can serve both as a development platform and as an end product. In conjunction with the DART-MX8M / DART-MX8M-MINI, it offers even wider connectivity with additional interfaces such as Gigabit Ethernet PHY, camera interfaces, LVDS, PCIe, RTC etc. 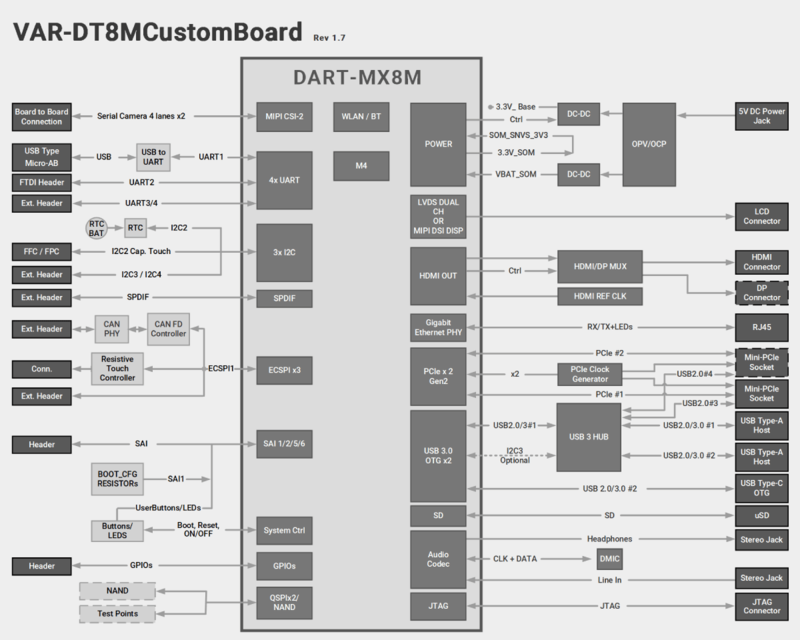 DART-MX8M: 2 ports, Type A connector, USB3.0/2.0. DART-MX8M-MINI: 2 ports, Type A connector, USB2.0. DART-MX8M: Type C connector, USB3.0/2.0. DART-MX8M-MINI: Type C connector, USB2.0.